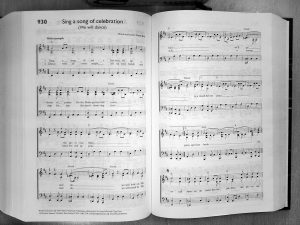 Scanning Music – Using a Doc Scanner and Hints & Tips. 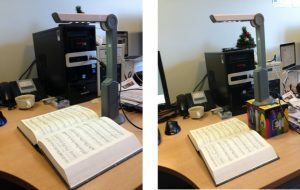 This blog post deals with digitizing your library of paper music. So you have made the decision to digitize all your music! It could be that your eyesight is not what it used to be and reading paper music is becoming a bit of a strain. Whatever your reason you are faced with quite a task. You need to digitize your music. Let’s say you have chosen Power Music Professional as your music management system. So how should you go about this task? Assuming you don’t have electronic copies of the music already in the form of PDF files, then you are faced with scanning the paper music. 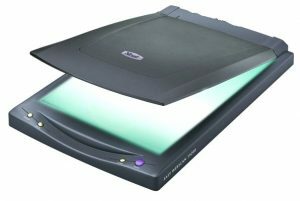 Conventional, flat-bed scanners are brilliant for scanning the odd photo or document, but they have a number of drawbacks when it comes to bulk scanning. I do know of one Power Music user who digitized over 50,000 pages of organ music using a commercial digital photocopier with a sheet feeder, but this involved dismantling each book of music to put it in the sheet feeder! 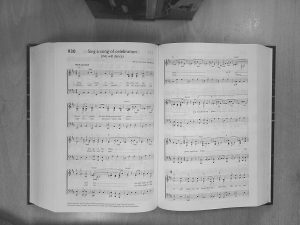 Getting your books of music to lie flat on the scanner is an issue, the speed of scanning is another and the time taken to manually turn the pages and re-position the page is laborious. 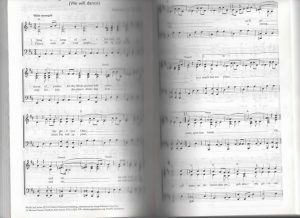 Another issue is that some music books – particularly older music – are larger than A4 so unless you purchase, or have access to an A3 scanner, you are faced with scanning each page in 2 parts and joining the parts together with image editing software. Enough to put anyone off the whole task. An alternative scanning solution is now available – it’s called a doc scanner (or sometimes called a live scanner). 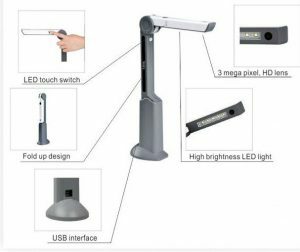 These scanners were originally developed for rapid scanning of documents like invoices and reports in a business environment but they are the ideal solution for scanning music. These clever little devices simply plug into the USB port of your PC. You get a live preview – allowing you to adjust the position of the music and capture (scanning) is instantaneous. Basically you can scan in music as fast as you can turn the pages!! The higher the resolution the larger the file size. The higher the colours depth (gray scale v full colour) the larger the file size. If you have a very large file representing a page of music – over 1MB per page, then the time it takes to load the page, when page turning, gets longer. You are taking up more space on the hard drive of the PC. When displaying music onscreen, there is no advantage in using a resolution greater than about 150dpi. Most screens have a resolution lower than this. So don’t be tempted to scan in your music at 1200dpi thinking it will display at a better quality. All you will do is create large files making the page turning slower and waste space. Also colour is not normally needed when scanning music – grey scale scanning is perfectly adequate. When scanning music, as well as having to crop the area you want and perhaps doing some fine rotation* (deskewing), you should try experimenting with levels of brightness and contrast. Particularly when scanning music printed on very thin paper or older music where the paper has become discoloured. The software in Power Music Professional lets you do all these things and one clever feature is a “macro” style button. You can apply any number of these edits to a scan and then “replay” all the edits on subsequent scans using the “Redo scan and add” button. Ahh!! – I have used the “c” word. So what about copyright?? ?